The Concert Band, conducted by Dr. Corey Spurlin, is the second performing ensemble of the Auburn University Band Department. 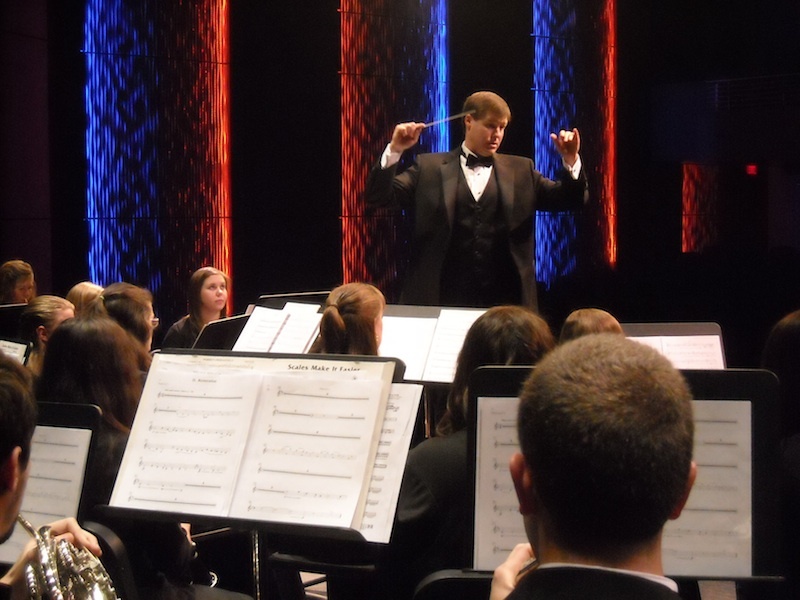 A select group of performers that meets in the Fall and Spring, the Concert Band performs a broad and diverse repertoire of standard and contemporary band literature. Membership in the Concert Band is by audition only, and it is open to any Auburn University student regardless of major. Scholarships are available, and one hour of academic credit is awarded for participation. This credit may be used as an elective in any curriculum. The audition for the Concert Band coincides with auditions for Symphonic Band. For details on auditioning for the Concert or Symphonic Band, please visit the Symphonic Band Audition page.